Cattle, like many animals, start life with baby or milk teeth. From about two years of age these teeth are replaced with permanent teeth. Permanent teeth erupt in pairs starting with the centre pair. A tooth is considered to have ‘erupted’ when it has broken through the gum. A pair is considered to have ‘erupted’ when the first tooth of a given pair has broken through the gum. The age of an animal is often referred to by the number of permanent teeth. An animal with only milk teeth is called a ‘milk tooth’, an animal with 2 permanent teeth is a ‘2 tooth’ and so on until they have a full set of 8 permanent teeth when they are said to be an ‘8 tooth’ or ‘full mouth’. This is a 6 tooth animal. There are four obvious permanent teeth and two more either side breaking the gum. Note that you count the permanent teeth on the lower jaw. The upper jaw has no teeth – only a dental pad. The range in age at teeth eruption is enormous. It varies from beast to beast due to individuality, breed, nutrition and climatic influences. Cattle that exhibit early sexual maturity (puberty) have teeth eruption at younger ages than late maturing cattle. 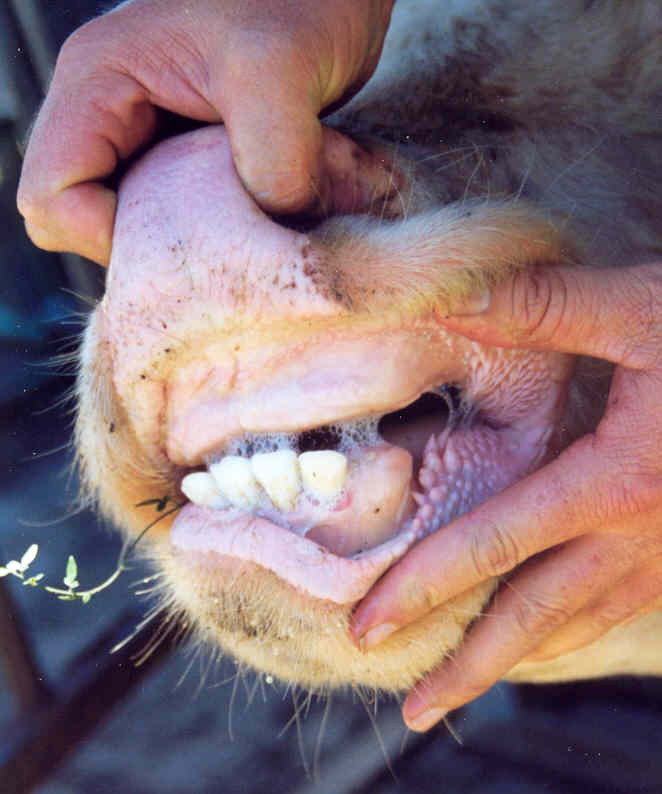 British-bred cattle have tooth eruption at younger ages than Brahman cross cattle. From this table you can see that a beast with four permanent incisor teeth could be as young as 26 months or as old as 38 months. Despite this inaccuracy, dentition (or teeth counting) is still a useful way to assess cattle age. 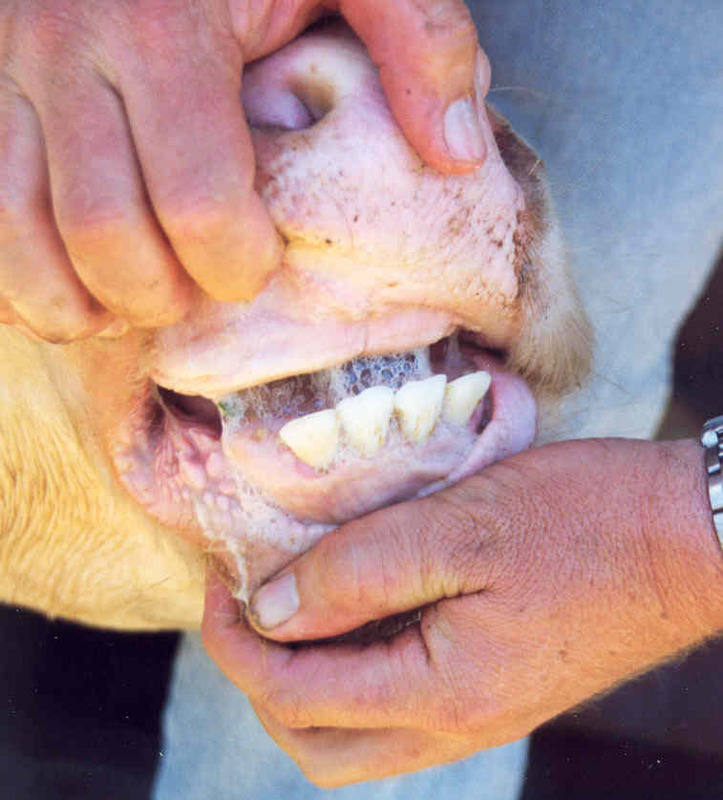 Below are visual representations of cattle dentition, courtesy of AUS-MEAT Limited.